When you’re in Florida and you’re wondering where to find a delicious cheesesteak near me, be sure to visit Big Mill’s Cheesesteaks restaurant at 2111 NW 13th Street in Gainesville. 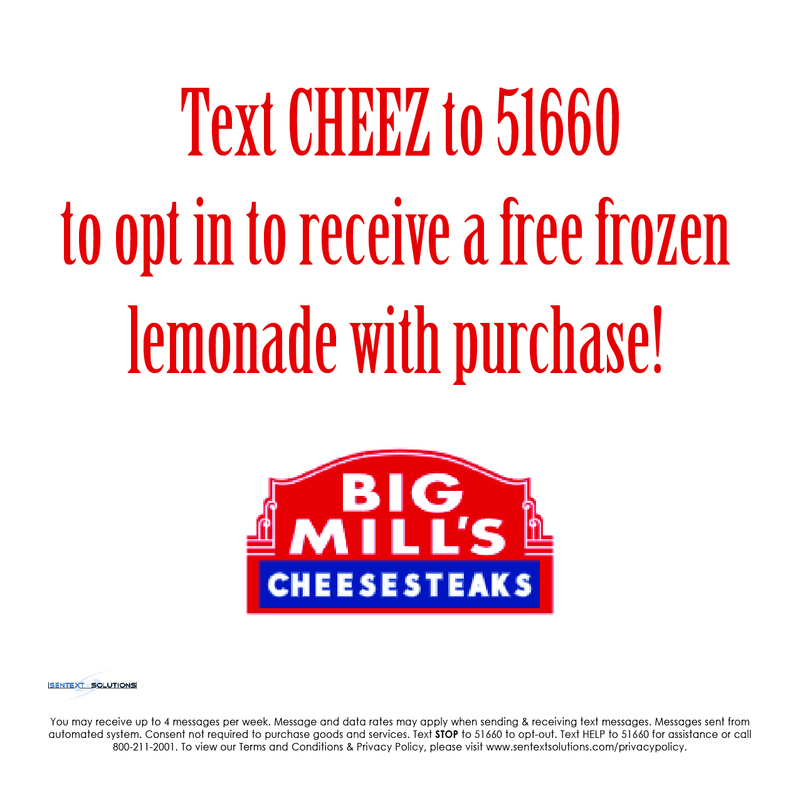 At Big Mill’s Cheesesteaks restaurant, the fresh and tasty cheesesteaks are the real thing, and are made with your choice of 100 % chicken breast or 100 % sirloin steak. After they have searched for a local sandwich shop that offers cheesesteaks near me, hungry diners from near and far have discovered that the best cheesesteaks of all are the ones served at Big Mill’s. The cheesesteaks and sausage sandwiches served at Big Mill’s are truly legendary throughout the state of Florida. With a tent and a grill on the lawn of a church near the stadium, the owner sold his cheesesteaks and sausage sandwiches to thousands of students and alumni at Florida Gators home football games for years, prior to opening the restaurant. There’s nothing quite like a cheesesteak sandwich to satisfy your appetite when you’re really hungry. The Original cheesesteak at Big Mill’s restaurant is available with your choice of white American, Kraft Cheese Whiz or provolone cheese. A large selection of toppings, including mushrooms, sweet peppers, tomato, giardiniera, au jus and jalapenos is also available. Variety is the spice of life and Big Mill’s features half a dozen cheesesteak choices. These include the Pizza option with pepperoni, provolone and marinara, and the Chicago Style sandwich with hot giardiniera or sweet peppers, provolone cheese and au jus for dipping. In addition to their famous cheesesteaks, Big Mill’s features delightful jumbo hot dogs, Italian and Polish sausage sandwiches, meatball sandwiches and a delectable Hoagie burger. Cool and refreshing salads and an assortment of yummy side dishes are also available at this popular eatery. The next time you’re thinking about where to order a good cheesesteak near you, come see for yourself why so many people think that the best cheesesteak sandwiches in Florida are served at Big Mill’s Cheesesteaks restaurant. Big Mill’s Cheesesteaks restaurant is open seven days a week. When it comes to cheesesteaks in Florida, the leading source of these tasty sandwiches is definitely Big Mill’s Cheesesteaks restaurant in Gainesville. Half a dozen cheesesteak varieties are available at Big Mill’s, as are wonderful sausage sandwiches, hot dogs, hoagie burgers and meatball sandwiches. Open seven days a week, this top-rate eatery is a favorite dining spot for people of all ages. Florida’s favorite cheesesteaks are served seven days at a week at a Gainesville restaurant named Big Mill’s Cheesesteaks. Half a dozen types of delicious cheesesteaks, jumbo hot dogs, sausage sandwiches, burgers and meatball sandwiches are available at Big Mill’s Cheesesteaks restaurant.